Giving birth can be one of the most profound experiences a mom will ever experience. Dr. Stacy Gray has been helping pregnant women in the Raleigh community for over 22 years achieve more natural and comfortable pregnancies and births. When you are pregnant, one of the best things you can do is to see a chiropractor. It should be part of your prenatal team because chiropractic care provides many things a pregnant body needs. During pregnancy, there is such a rapid period of development, hormonal changes, laxity of connective ligaments and shifting of weight-bearing structures. As a result, you need a flexible spine, balanced pelvis and a body free of misalignment for a healthier pregnancy and easier delivery. Chiropractic care offers supportive holistic care during all stages of pregnancy! Many of the moms in our practice comment how they don’t know how they would have gotten through the pregnancy without their adjustments. 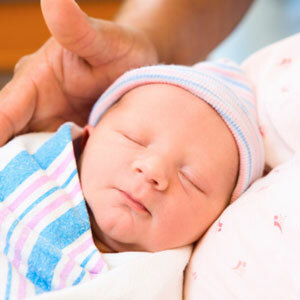 They also had shorter deliveries and were much more comfortable during the pregnancy and birth with chiropractic care. This form of natural care during pregnancy is key to ensuring that all body systems function properly especially the reproductive system. If the body doesn’t have a properly functioning nervous system, due to a misalignment or subluxation, it causes interference and may adversely affect the mother and growing baby. As the center of gravity changes in pregnancy so often does the stress to the spine. We see many referrals in our office from obstetricians and midwives because of the drugless approach to care and the demonstrated success with low back pain. Chiropractic helps to promote the best birthing position and reduce premature contractions and back labor. Many pregnant mothers aren’t aware that their pelvic balance throughout the pregnancy affects their baby’s position at birth. That’s why Dr. Gray is passionate about using the Webster Technique. The technique was developed by Dr. Larry Webster in 1982 as a specific chiropractic analysis and adjustment to restore normal body function and biomechanics. With this technique, Dr. Gray can specifically adjust a mother’s spine and pelvis back into a properly balanced state. As a result, the normal physiological function can be re-established, which allows the baby to find the best possible position for birth. She has received over 200 hours of specialized training in caring for pregnant women and is board certified in pregnancy, pediatrics and the Webster technique. Periodic spinal checkups during pregnancy should be an essential part of your prenatal team to keeping your body in harmony and for a healthier functioning nervous system. Chiropractic care is consistently being recognized as a vital component to a healthier pregnancy and easier birth process! Discover the difference that chiropractic care can make during your pregnancy. Contact Gray Family Chiropractic today to schedule an appointment with Dr. Gray!